Since I’m so in love with nail art and nail polish I thought it would be nice to tell you all about my favourite colours. I’ve made a top 10 and it’s not that I love the number one more than the number 10. I love all the colours equally as much. I love this colour because it’s such a different and soft colour. I’ve worn this colour a lot this summer. When Rita Ora launched these pastel coloured nail polish line my eyes fell on this colour and I just had to buy it. I bought it and I loved it as much as I thought I would. One thing: I use three layers of nail polish until I think I’ve got good results. But then the colour is as bright as you can see on the photo. If I do one or two layers I still can see my nails through it and I hate when I see that. So when polishing my nails with this colour I make sure to have a lot of time to let my nails dry. This colour I bought in Luxembourg this year. The colour is a bit lighter than sky blue and a bit darker than baby blue. And that what I liked about it. I haven’t had a blue like this one so that’s why I added it to my collection. At the moment I’m wearing the colour on my toe nails and it looks really happy because it’s also very bright. This is a colour that I barely use. This is also one my very first nail polishes and I don’t want it to go empty because I haven’t seen this colour in the shops anymore. 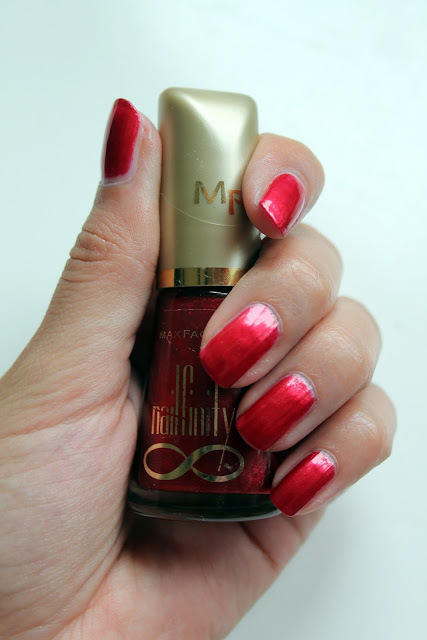 This red is a deep shiny colour and love how much it sparkles on my nails. It really catches attention. What surprises me the most is that this nail polish hasn’t dried out and I think I’ve got this nail polish for like 6 or 7 years. I mean, that’s very good quality! This is such a weird colour but I love it because of that. It looks kind of red but I also see hints of purple in it. I mean when it’s on my nails it looks different than in the bottle and the colour is so deep and dark. It also make it looks like I’m wearing fake nails but they’re my own nails with this nails polish on it. Some people even asked me about it if these were my own nails or not... a wonderful effect this polish has, don’t you think? On the photo it also looks more purple but in real life it looks like red in the bottle. I bought this colour also while I was in Luxembourg. 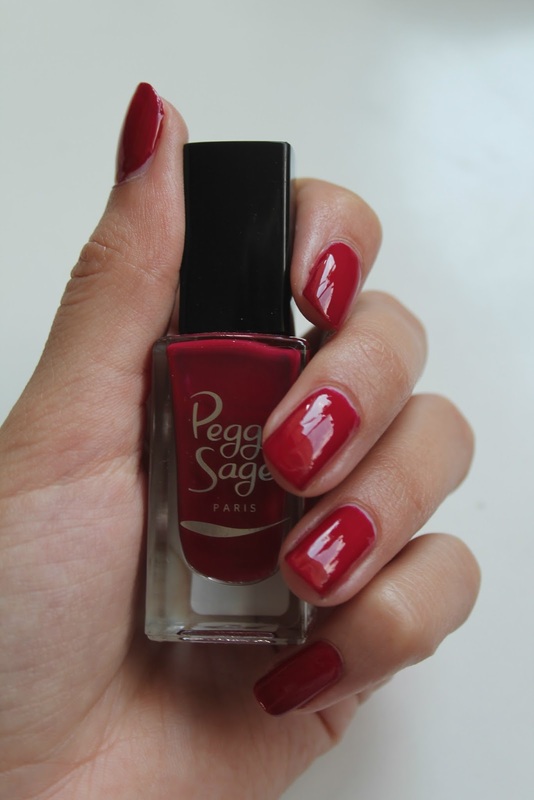 I had never heard of Peggy Sage before so I was really excited when I walked into a shop that had a whole wall of her nail polishes. I had a really hard time choosing which colour I wanted to buy. But I have a love for colours like purple and fuchsia. So when I saw this colour I loved it instantly. But at home when I put the colour on my nails I thought it was more fuchsia then it actually is on my nails. My nails look redder than the fuchsia colour in the bottle. But still the colour on my nails looks beautiful and the coverages is really good. 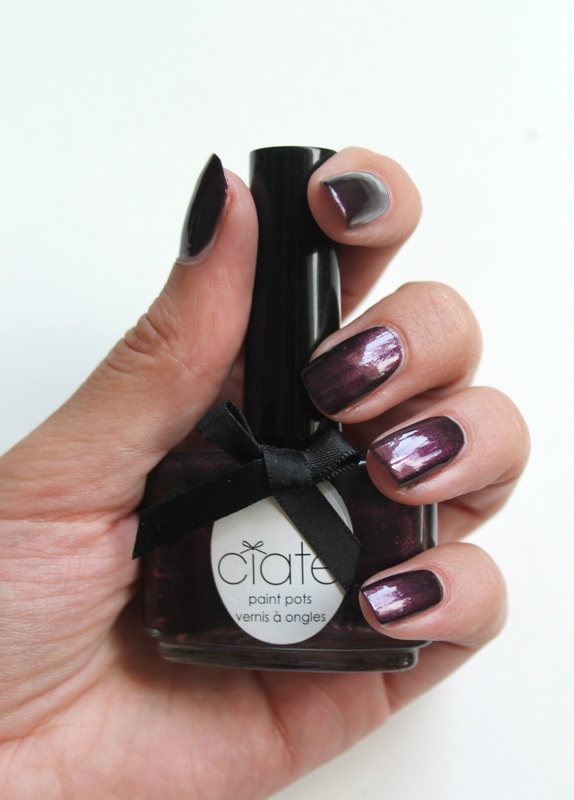 I don’t use this colour very often because I’ve a lot of purples and I like to wear this one as a base coat for the’ Fur-Effect’ that I bought at the same time. Because I use it for the Fur Effect there is also some fur in the coat because of re-applying. And applying fur makes a lot of mess and that’s why I don’t use for just one colour on my nails. It looks weird when there are bobbles or fur on my nails when it’s not supposed to be there. You can see my Fur-Effect nails in this blogpost and then you hopefully understand why I love this colour so much, because I love the Fur-Effect with this polish under it. I’ve wanted a Tanya Burr nail polish for sooo long! Since she released them I was so excited and loved the reviews I read. And then I was in London, as you might know, and I wanted to buy so many things. And I didn’t have enough money so sadly I only bought one colour of Tanya’s nail polishes. I really hate myself for not buying more colours because this red is fab-u-lous! I mean, it’s called Riding Hood of course based on little red riding hood and Tanya knows what she is talking about. With red she means red. Very deep red and one layer is enough to cover my nails completely. I use two layers because the red gets so much deeper and that’s what I love so much about this polish. I know these are 5 colours but I always wear them together as one matching nail polish. The colours are so happy and I like the effect the ‘crushed candy’ has. It looks so much like summer and normally when a new collection of nail polish is released I don’t buy them all but when I saw this I just had to buy them. When I apply these colours I do at least two or three layers before my nails are fully covered. So it takes a while before my nails are dry. When I put these on my nails I always make sure I’ve got enough time so I wouldn’t smudge them. Also, the yellow colour chips of the first after like 2 or 3 days. But the other colours stay for almost a week. This green is a kind of weird colour. I barely wear it because I don’t like it on my nails normally. 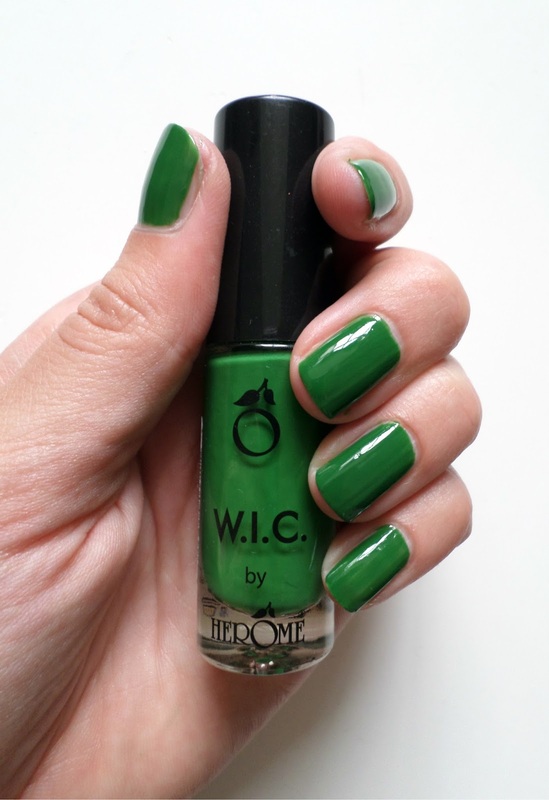 But when it’s Christmas I always create Christmas trees on my nail and this the best green I’ve ever bought that matches so good with the green of a Christmas tree. So it’s a weird choice for being in my top 10 list but because it’s my tradition to create Christmas nails every year by using this colour it just has to be in this post. Note to this review about my favourites: I’ve used at least two or three layers of nail polish to get these colours. Because I think than the nail polish is at its best and brightest and also the colour covers the best then. Also, sometimes you see that my fingertips are very shiny. After using the remover a few times on my nails my fingers didn’t like the liquid very much… So my skin started to react weirdly to it and it looked like my skin was that one of a snake which wasn’t very pretty. So I put lip balm around my nails to protect my skin. 4 comments on "Top 10 Favourite Nail Polishes"
Lavender Cupcake always makes me happy! Love how soft the colour is. How funny that we both have a brother and 2 sisters. Not many people I know have so much brothers and sisters. Thanks for the follow and I hope you've got a nice week too!